If you’re planning on cycling this winter, with the sun setting earlier and earlier, you’re probably going to be riding in the dark at times. Therefore you will need a decent front light to illuminate the road ahead, as at night you’re required by law to have front and rear lights on at all times. 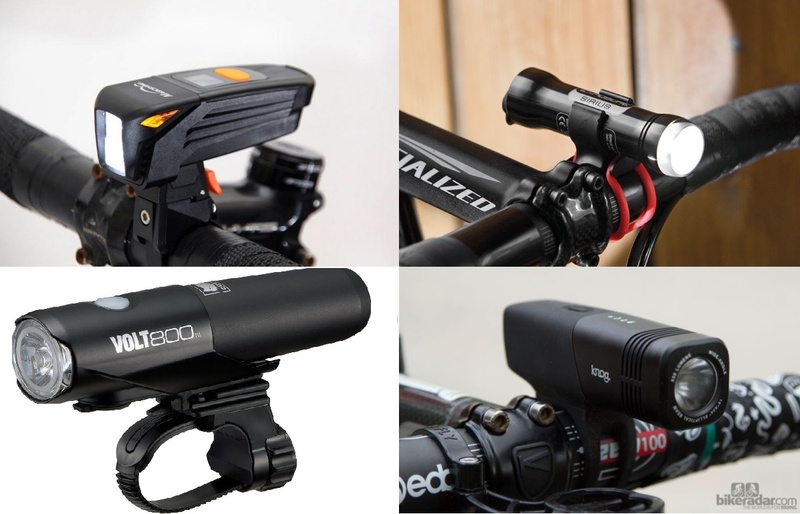 So we thought we’d compile a selection of some of the best front bike lights around at a range of prices. This light is pretty much indestructible – you never know with technology, but dropping it onto tarmac from handlebar height won’t brake it. Am-Tech is a DIY tools company, so its durability shouldn’t really come as a surprise. It features an aluminium body which explains the hardiness, and Am-Tech are confident about the longevity of their light, giving a 10 year guarantee. 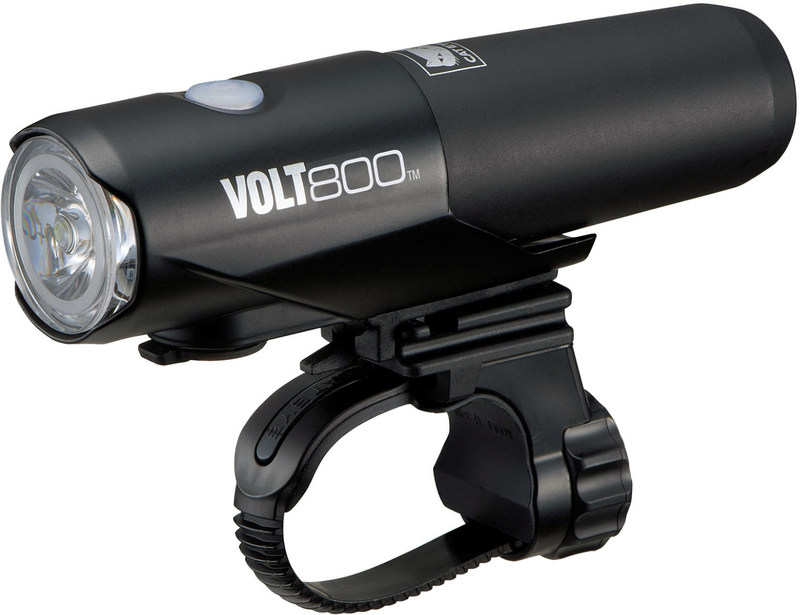 The beam gives out 180 lumens, which is perfect for riding under street lights and in twilight. The light comes in three modes – full beam, half beam and strobe – meaning you can preserve battery life if need be. The light is powered by three AAA batteries, which obviously won’t last a huge amount of time on full beam. The MagicShine Eagle 600 has several interesting features. 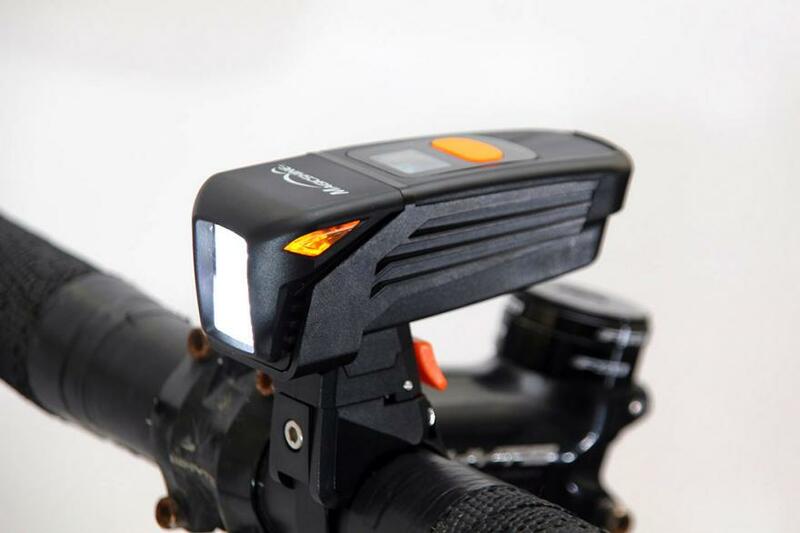 The handlebar mount can swivel so the beam can be aimed where you need, and its orange side lights should help drivers to see you when you’re side on. Using a one button control on top of the light you can switch through 9 different modes adjusting the beam setting of full, dipped or flashing. A small digital screen in front of the button indicates battery life remaining. The light itself has an output of 600 lumens and a rechargeable battery life of 1.5 hours on max. Overall for a price of around £60, this is a really good bike light. The charge time could be shorter and the battery life longer, however the range of features the light offers are really impressive – 4/5. 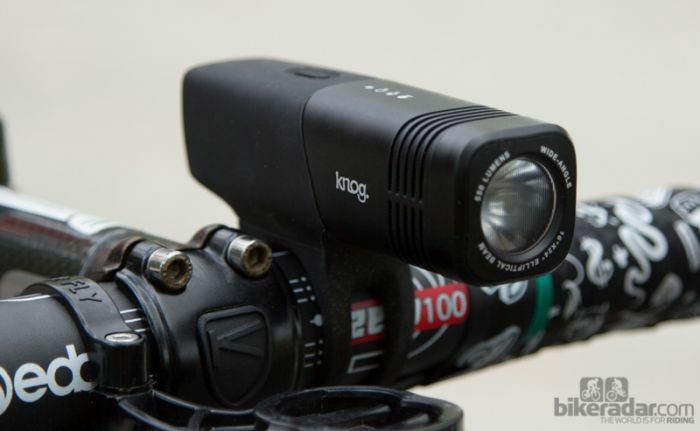 The Knog 2016 Blinder is designed for serious road and and trail riders. 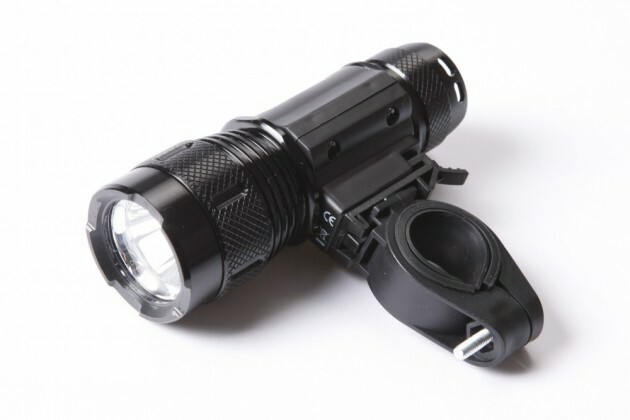 It features a 640 lumen Cree LED light -which is USB rechargeable and has 4 light modes. The high lasts 1.7 hours, medium 3.3 hours, low 7.3 hours and flash 15 hours. 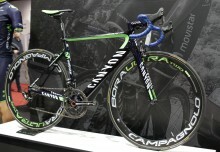 It also features straps for varying handlebar sizes and an additional helmet mount. For around £80, its sleek design compares well to its competitors, the light is bright enough to use in pretty gloomy conditions and you get a very user friendly light – 4/5. The Cat Eye 800 delivers high brightness with a stylish exterior. The light features Opticube Lens Technology providing 5 modes: high, medium, low, hyper-constant and flash. Its battery life ranges from 2 hours on high, 10 hours on low and up to 50 hours on flashing. 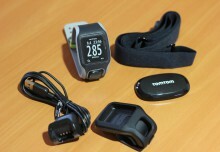 It’s easily operated with one button, features a Memory Mode Function to automatically select your favourite mode and also has a low battery indicator. This is one of the most versatile lights on the market and for the price you can’t really go wrong – 5/5. 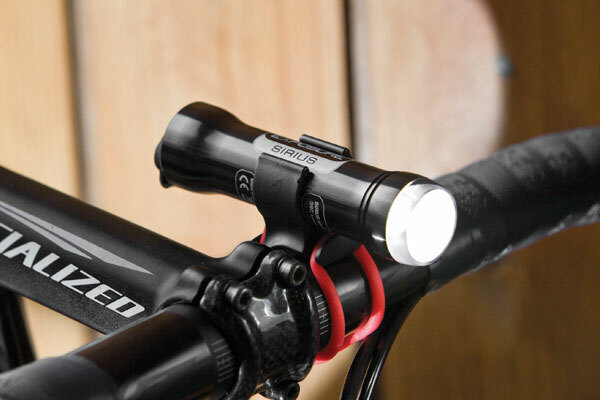 The Exposure Lights Sirius light is billed as a light for urban riding and commuting. Its really easy to use with one button operation and features a range of beam setting good for both urban roads and country lanes. 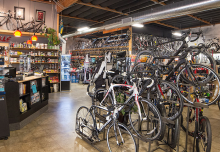 The light features a max output of 500 lumens and a minimum running time of 2 hours on full beam. Considering the price and lumens, this is a really impressive light for both urban commuting and country lane riding – 5/5. 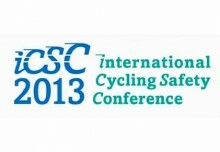 Safer Cycling – Do Other Countries Already Have the Answer?